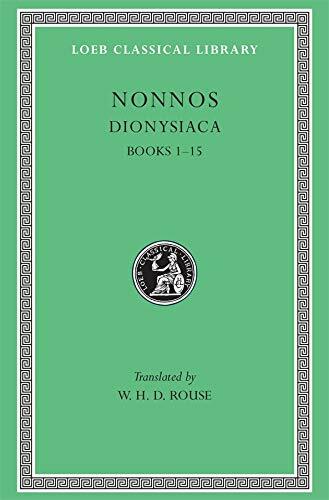 The epic Dionysiaca by Nonnos of Panopolis in Egypt (fifth century CE) concerns Dionysus' earthly career from birth at Thebes to reception on Olympus. In a poem full of mythology, astrology, and magic, Nonnos relates the god's conquest of the East and also, sensually and explicitly, his amorous adventures. William Henry Denham Rouse (1863-1950) was Headmaster of the Perse School and a founding editor of the Loeb Classical Library.